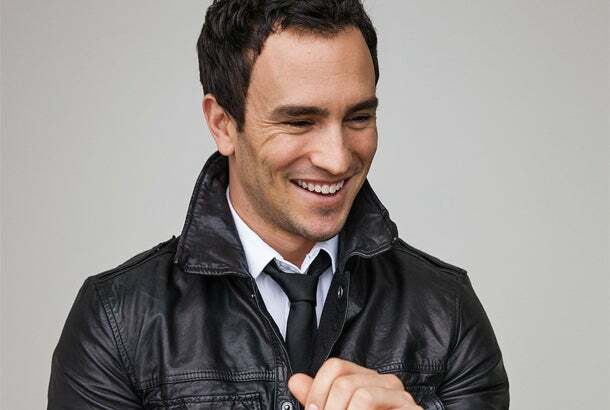 Jeremy Bloom has had his ups and downs. A world-champion skier, he missed his shot at Olympic gold. As an all-American football player, he saw his collegiate career put to a halt by the NCAA; then, sidelined by injuries, he spent a frustratingly brief period with the NFL. He has dabbled in modeling and TV presenting. Now, the golden boy may have finally found his footing, in what once would have seemed an unlikely arena: entrepreneurship. On Feb. 15, 2006, Jeremy Bloom was, quite literally, on top of the world. Standing at the start of the Olympic freestyle mogul course in Torino, Italy, he tapped his skis in anticipation. The tips bounced over the edge of the hill, vibrating as though anxious to carve up the mountain themselves. Nearby, a television commentator remarked that Bloom's dream was to win both an Olympic gold medal and a Super Bowl ring. "Let's see if he can get the first of two right now," he said. Coming off a string of victories heading into the 2006 Winter Olympics, the 23-year-old Bloom was a favorite to win. Three days later, he would be in Indianapolis, scorching the 40-yard dash at the NFL Scouting Combine. Atop the course, he stretched his arms and exhaled. Under the nighttime lights, the snow appeared icier than it had been during his daytime practice runs. At last, a bell, and he pushed off. The next 22.79 seconds altered Bloom's life in ways he's still trying to explain. He steamed over the first dozen moguls like a locomotive, legs pumping like pistons over the snowy mounds. He launched off the first jump, spinning 720 degrees in the air with his skis tucked perfectly perpendicular behind him, forming an "iron cross." Hitting the ground and plowing over the next five moguls, he looked unstoppable--until he hit the next one. He lost his balance and missed the turn. In a futile attempt to catch up, he flew off the next jump--but crossed the finish line knowing it was all over. He ended up placing sixth. He would return to the U.S. without a medal and unleash his frustration on the NFL tryouts. He would get drafted by the Philadelphia Eagles but injure his hamstring in training camp. He would be released by two teams over two years and would never play in a regular-season pro football game. After that, he would go on to do more than he ever imagined, with varying degrees of success--sky-dive, appear on a celebrity dating show, work as an on-air sports analyst--all, he says, because of that one mogul. And he may go on to greatness yet. These days Bloom prefers to be known as co-founder of Scottsdale, Ariz.-based advertising-technology provider Integrate. The 140-person company, with clients such as Dell, Hewlett-Packard and Research In Motion, has pulled in more than $15 million in two rounds of funding, with investments from Comcast Ventures, Liberty Global and The Foundry Group. But Bloom's celebrity résumé is tough to escape. The youngest male ever to make the U.S. Ski Team, he was national champion by age 17 and world champion and Olympian at 19. Then, as an undergraduate at the University of Colorado, he became a two-sport star, blistering across the gridiron as a receiver and kick returner, and named All-American as a freshman and sophomore in 2002-03. But before his junior year, the NCAA barred him from play under college rules that prohibit athletes from holding simultaneous amateur and professional status. As a skier, Bloom had received funding from Under Armour and other sponsors, money he used for expenses such as travel and coaching. Asked to choose between a chance with the NFL and a shot at skiing gold, Bloom, in typically daredevil fashion, went for both. Claiming he needed the endorsement money to pursue his Olympic dreams, he sued the NCAA for stripping his eligibility, garnering the attention of football scouts across the country and ultimately testifying about the matter before a congressional panel. But the lengthy case proved unsuccessful, and Bloom was knocked out of the college game. In the meantime, he tore up every ski slope he could find while preparing for the 2006 Olympics. En route to Torino, he set a world record with six consecutive victories. "I was coming off a year in 2005 that I just couldn't lose," Bloom says now. "I couldn't do anything wrong in the sport." Until, that is, he did. Losing at the Olympics caused him to double down on the NFL Scouting Combine. He flew from Italy to Indianapolis the day after his race. "My mindset was, I'm going to tear this combine up," says Bloom, who proceeded to run the 40-yard-dash in 4.4 seconds. "It wasn't the fastest I could run; I had literally been in ski boots for two years." Still, it was good enough for the Philadelphia Eagles to draft him in the fifth round. But while vying for a spot in training camp that fall, Bloom tore his hamstring and was sidelined. With the injury and Olympic defeat, he was forced to contemplate the reality of life after sports. "My biggest fear was that I was going to be worthless to society after athletics," he says. "It kept me up at night." So he did his homework. The NFL had been developing programs aimed at improving the ability of players to evaluate business opportunities. (According to a 2009 article by Sports Illustrated, 78 percent of the league's former players had gone bankrupt or experienced financial stress by the time they'd been retired for two years.) While still with the Eagles in 2006, Bloom enrolled at the University of Pennsylvania's Wharton School through a program developed by the league and several leading graduate schools. Suddenly his appetite for textbooks outweighed his appetite for playbooks. "I noticed a big shift in my life," he recalls. "I found myself more interested in reading stories about entrepreneurs like Larry Page and Sergey Brin than in working out." Soon after, the Eagles cut Bloom, and in 2008 he signed with the Pittsburgh Steelers, only to be sidelined by another injury. While the Steelers went on to win the Super Bowl, Bloom was made painfully aware of how short-lived a career in sports can be. "I knew that the higher you are, the further you have to fall," he says. "That provoked me into planting seeds all over the place." He had already worked as a model, appearing in a GQ fashion spread, shirtless on the cover of an Abercrombie & Fitch catalog and in ads for Tommy Hilfiger and Under Armour, among other brands. He worked as a VJ for MTV and covered football and Olympic sports as an on-air analyst for ESPN, NBC and Versus. He had even appeared on Fox's celebrity dating show The Choice, alongside DJ Pauly D and rapper Lil' Romeo. "A lot of those seeds never grew or did anything," Bloom admits. But Integrate has taken root. Since its founding three years ago, the company has gathered 2,500 traditional and digital media partners, giving clients the ability to execute performance-based ad campaigns with the click of a mouse, regardless of the medium. For example, ad buyers using Integrate can purchase airtime on local radio stations as well as keyword-optimized ads on search engines, and ultimately compare the two campaigns' returns on investment. Ad sellers, meanwhile, are profiled on a centralized marketplace that reveals audience information and success metrics. Comprehensive reporting tools help buyers finely tune their campaigns so they can improve their results across the entire media mix. The idea for Integrate--which was named New Company of the Year at The American Business Awards in 2011--came about after Bloom finished his Wharton program. He and Hart Cunningham were working on a startup called MDinfo, a site where people can seek answers to health questions. The duo had been looking for ways to monetize the business by finding clinical-trial participants. "We needed a single ad platform that could cross all channels, so we could filter as many eyeballs on an ad as possible," Bloom says. "And we didn't want to hire a bunch of people to manage all these publisher relationships. … So we started building it." As soon as the platform launched, he says, it started generating revenue. Bloom's cover-boy looks and jock background might lead one to presume he wouldn't have a firm grasp on the heady concepts Integrate slings around, but that would be a dangerous assumption. He's always hustling and constantly learning. "He's not at all shy about saying, 'I don't understand,'" says Bill Maris, a personal friend and managing partner of Mountain View, Calif.-based Google Ventures. "It's the mark of someone who is going to be excellent at something, that they know when to be an apprentice." Indeed, the key to Integrate's success may be co-founder Cunningham, a serial entrepreneur with a career trajectory paralleling his partner's sporting accomplishments. After receiving an MBA from Claremont Graduate University, Cunningham was an Ernst & Young Entrepreneur of the Year finalist for two straight years, launching a slew of successful startups, including the MasterCard-partnered currency website FunnyMoney and SpeakwithaGeek, one of the first online technical-support services. At Integrate, he's the tech-savvy, back-end guy, while Bloom is the forward-facing, glad-handing dealer. There's no denying that Bloom's celebrity affords a certain amount of access in the investment community. "His name opens doors in business," says Seth Levine, managing director of Boulder, Colo.-based venture capital firm The Foundry Group, which has invested $6.75 million in Integrate. "But we would never make an investment decision based on that. That had zero bearing. In fact, I almost had to get over that, in my mind, to believe that he was fully committed." Cunningham, not surprisingly, downplays Bloom's celebrity as well. "Ironically a lot of the people who do take a meeting with us because of his background, they're not the ones who end up doing business with us," he points out. "It's actually helped a little bit less than you would think." Bloom, himself, doesn't hesitate to laud Cunningham's skills and the guidance of investors. "I would have never accomplished anything I did in sports by myself," he admits. "Now, having a company with 140 people, there's no way I could accomplish this all on my own." He credits mentors like Pittsburgh Steelers head coach Mike Tomlin as management inspiration. Levine says Bloom's adaptability and receptiveness to tutelage in the business world is a reflection of his time on the mountain and the gridiron. "He's one of the most coachable people I've ever worked with," Levine says. "Despite being the best in the world, he's used to asking people for coaching, accepting that coaching, thinking about it and acting on it." Cunningham forecasts that Integrate will reach $90 million in sales in 2013. But in order to become the industry-defining smash he thinks it can be, the company may need more cash. Integrate has doubled revenue since its last valuation and is considering another round of funding. The question is: Should they go for it? "When you walk into an investor's office and you ask for $20 million from four different groups, you want to make sure you won't let them down," Cunningham says. While he and Bloom work well together, there is some tension about how aggressively they want to grow. "I wanted to create a large, behemoth of a company, and that's the reason we accepted outside funding," says Cunningham, who had never shared ownership on any previous venture. "Jeremy was a little bit more conservative--he wanted to make sure we represented investors' money right." Bloom is well acquainted with the pressure on his partner and the need for Integrate to blow away expectations. "When you're ultra-competitive, like most professional athletes or most CEOs, you're setting goals on this treadmill that never ends," he says. "You're never able to truly achieve this greatness that you think exists, because it doesn't--there's always more." He likens Cunningham's restless quest for an ever-bigger splash to a friend and predecessor on the U.S. Olympic ski team, Jonny Moseley, who won gold in 1998 but placed fourth in 2002. "He didn't win two gold medals, so he's disappointed," Bloom points out. Cunningham does seem ready to hurtle down the hill with Integrate. "If everything builds out like it should," he says, "we're going to have a monstrous exit, and we're going to be able to havea great future." From afar, it's easy to be annoyed by Bloom's success, but once you meet him, it's hard not to root for him. Naturally inquisitive, outgoing and humble, Bloom is not one to broadcast his athletic achievements. "Some people think that because they've done something great, they are great," Google Ventures' Maris says. "Jeremy isn't like that." The Foundry Group's Levine adds, "You think, 'I kind of hate this guy; this guy is going to be full of himself.' But he couldn't be further from that. He's the most likable guy you'll ever meet in your life." Exemplifying this is the fact that whatever greatness Bloom has achieved in entrepreneurship and sports, it is dwarfed by the success of his nonprofit organization, Wish of a Lifetime. Inspired by his paternal grandfather (who was a World War II veteran and Bloom's first ski instructor) and his maternal grandmother, Bloom took some of the skills he gathered at Wharton to start a program for seniors similar to the children's charity Make-A-Wish Foundation. Founded in 2008, Wish of a Lifetime has raised $2.2 million to help seniors experience that one thing in their life they've always wanted to do. In its first year, the charity granted four wishes; 2012 saw 263 dreams realized. 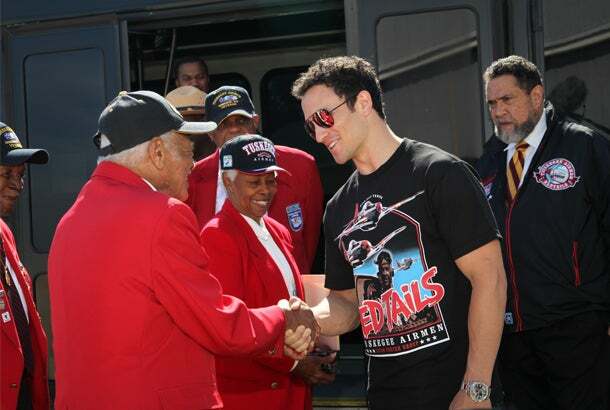 Reaching out: Jeremy Bloom gives thanks to Tuskegee Airmen at a Wish of a Lifetime event. "Our goal is to say thank you to a generation that gave us our independence, pulled us through the Great Depression, literally paved our roads and shaped the world we live in," Bloom says. Among other wishes fulfilled, the program has reunited families and war buddies; Bloom personally has jumped out of airplanes and experienced zero gravity alongside wish recipients. But most important, the organization appears to be making improvements in seniors' lives. In a 2011-2012 poll of nearly 200 wish recipients, 97 percent cited improvement in their overall happiness, 76 percent noted improvement in physical health and 93 percent reported gains in overall quality of life. "It was significantly more impactful than I anticipated," says Maris, who volunteers with the group. "The thing I think was most moving was that someone cared enough to find out what [seniors] wanted to do, and wanted to make that happen." Asking Bloom what he would wish for elicits humble hems and haws; he says, with all sincerity, that he's already living the dream. But there's no denying: He's still haunted by the Olympic gold. "That's the one thing I come back to," he says. "It's the one thing I don't have." And because of this, Bloom is going for the gold with Integrate. Right now he's climbing the mountain, and soon enough he'll be standing atop the slope, mapping a course through the moguls and looking out for ice. It's a much different event, but no less competitive. And once more, the world is watching.